Ashleigh joined our office in 2016 and immediately became an integral part of the Laing + Simmons Miranda sales team. With a proven track record in supporting and assisting successful real estate agents, Ashleigh brings strong administration skills, property marketing, great customer service and attention to detail in all of her work. 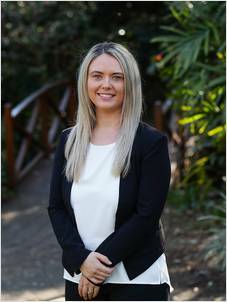 With over 8 years experience in Real Estate across the Sutherland Shire and South Sydney, Ashleigh prides herself on her approachable manner and work ethic, ensuring all our clients are well cared for. Ashleigh currently holds a Real Estate Licence as required by the Property, Stock & Business Agents Act (2002).